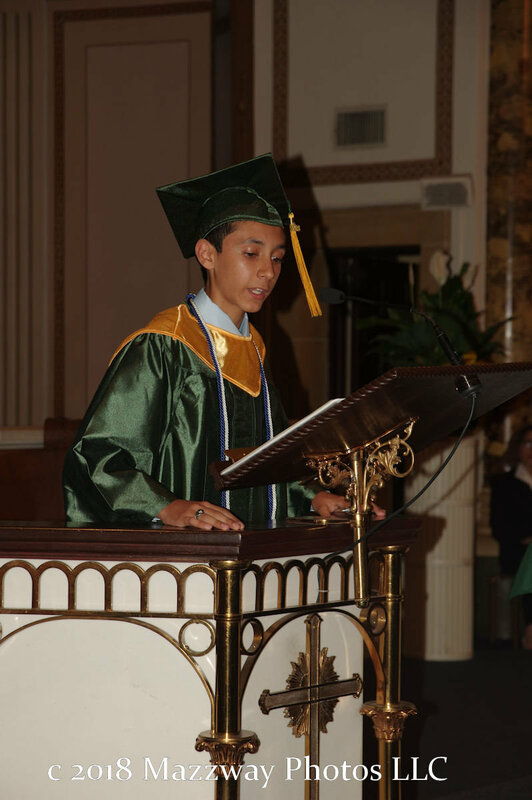 On Friday-8-June the St. Joseph's School in Bogota held the Graduation ceremony for the 8th grade class of 2018. 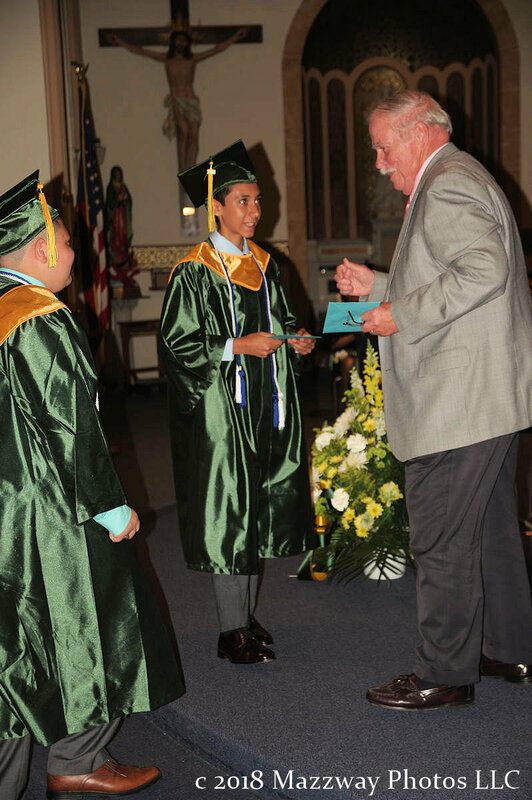 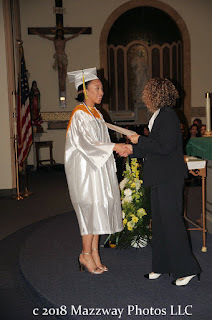 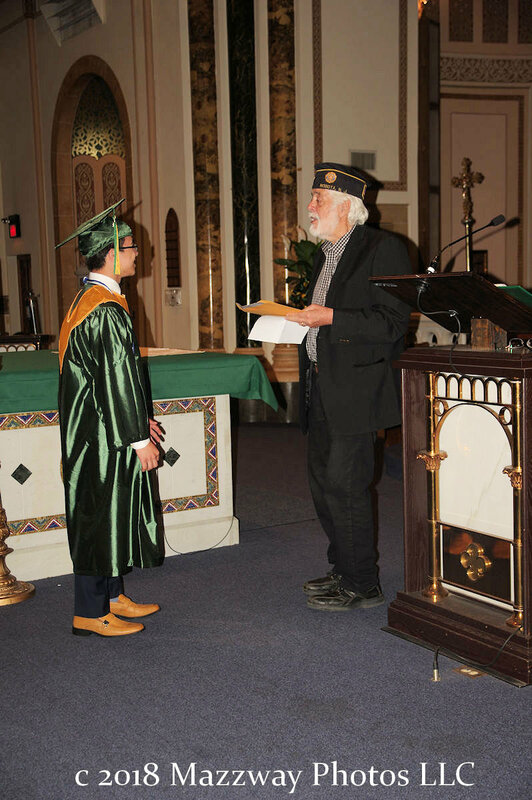 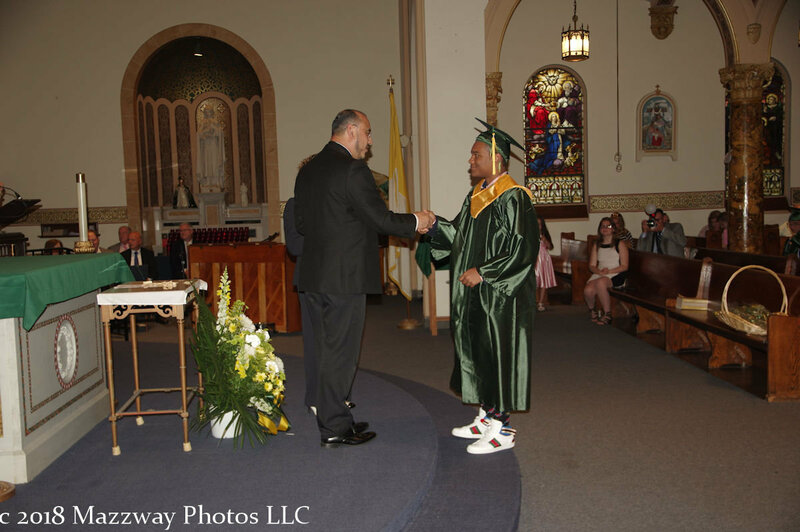 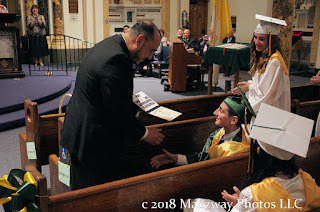 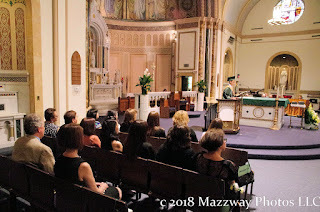 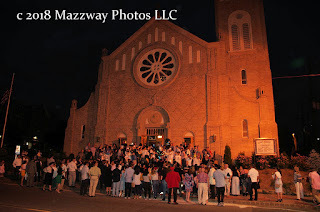 Family, Friends , and Teachers gathered in St. Joseph's Church to watch as the 25 members of this years class received their Diplomas, and other awards on their way in becoming the newest Alumni of St. Joseph's School. 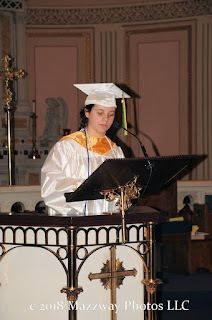 After the Students marched down the centre aisle, Gillian Sepp welcomed all those who attended. 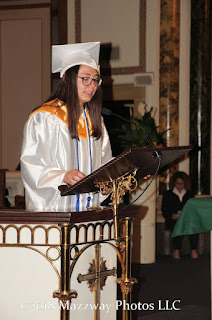 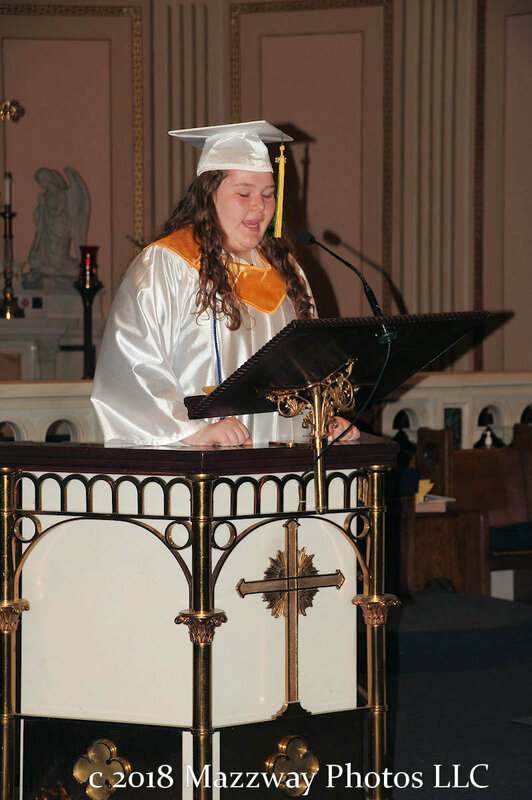 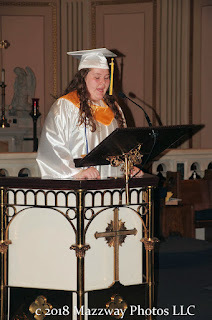 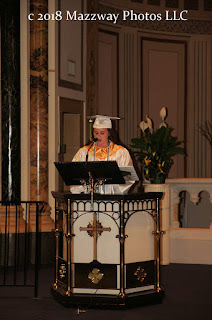 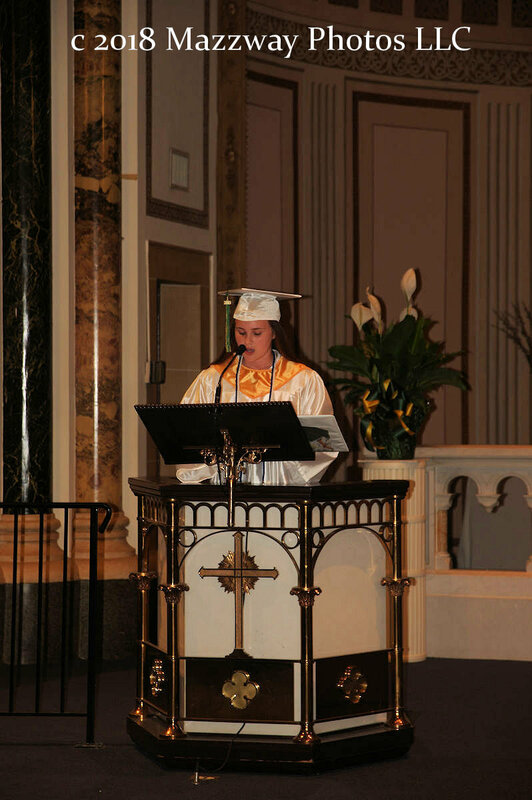 Then Emily Facone gave the opening prayer and was followed by other Students who talked about their years and experiences at St. Joseph's. 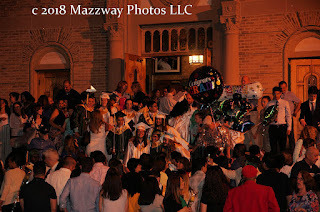 Some memories dated back nine years to include pre-school, others were just a few years of stories. 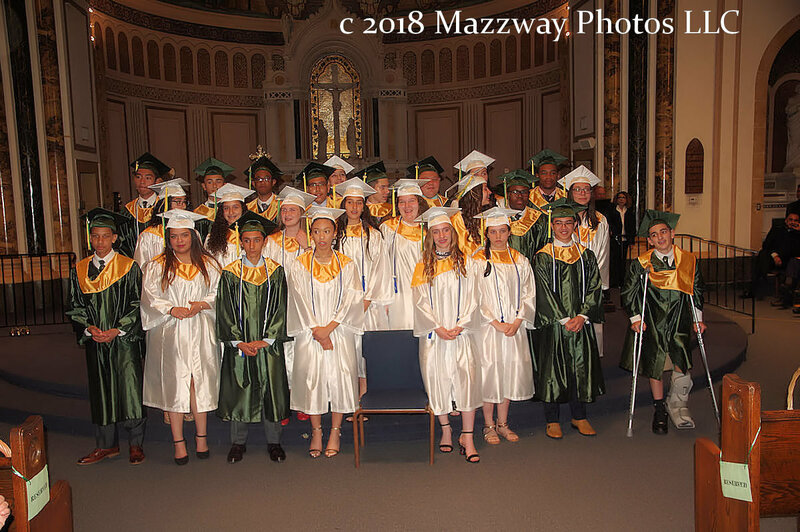 All the Speakers share a common thread of how Children from different background, and even towns, have come together to form into one new Family. 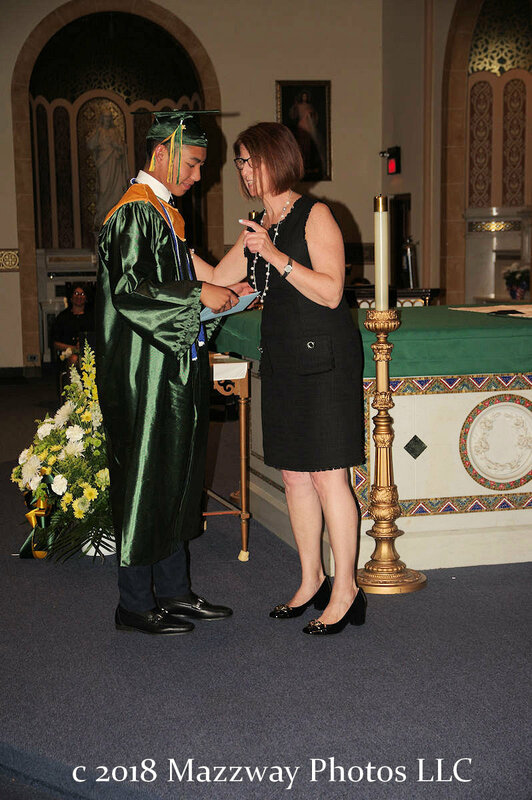 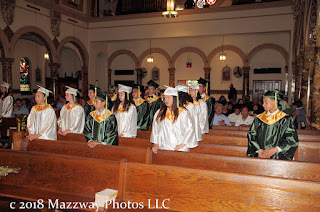 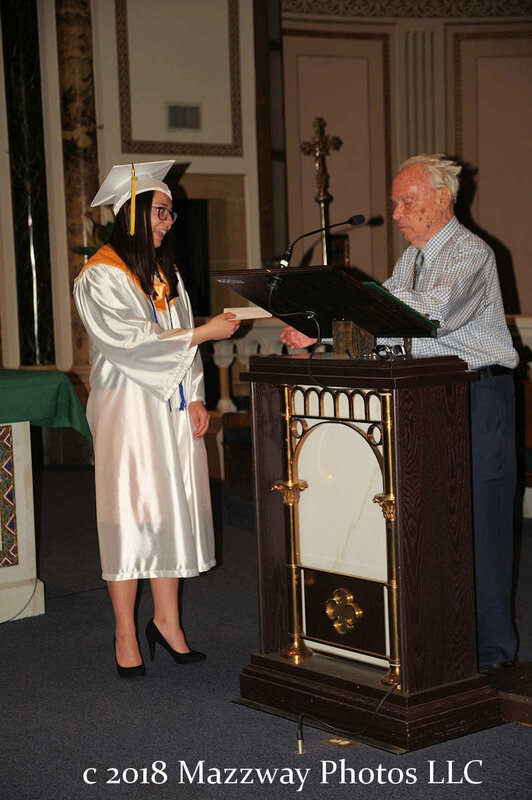 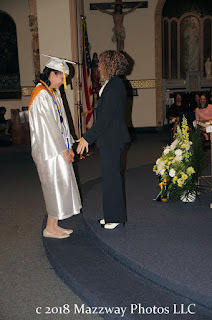 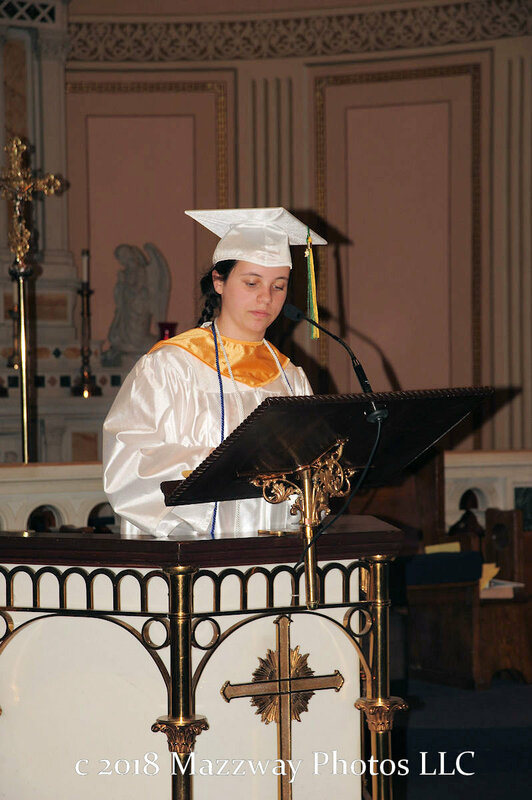 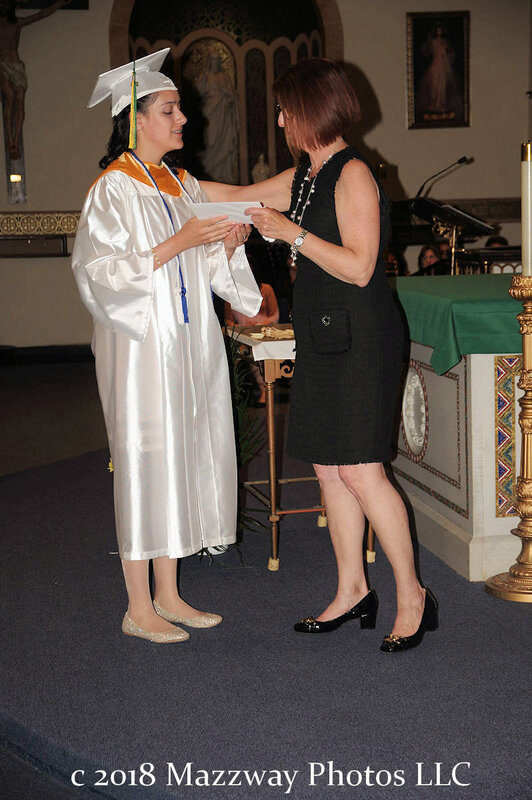 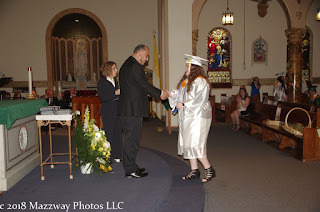 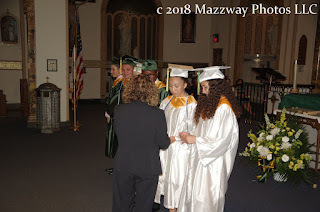 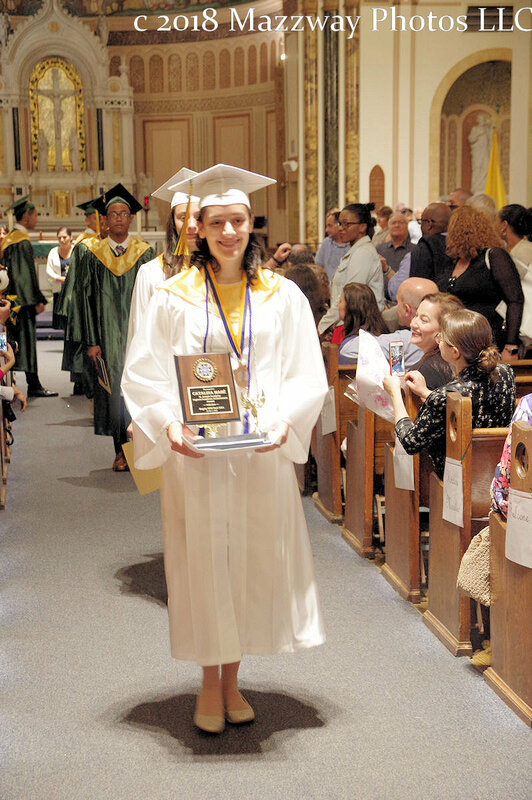 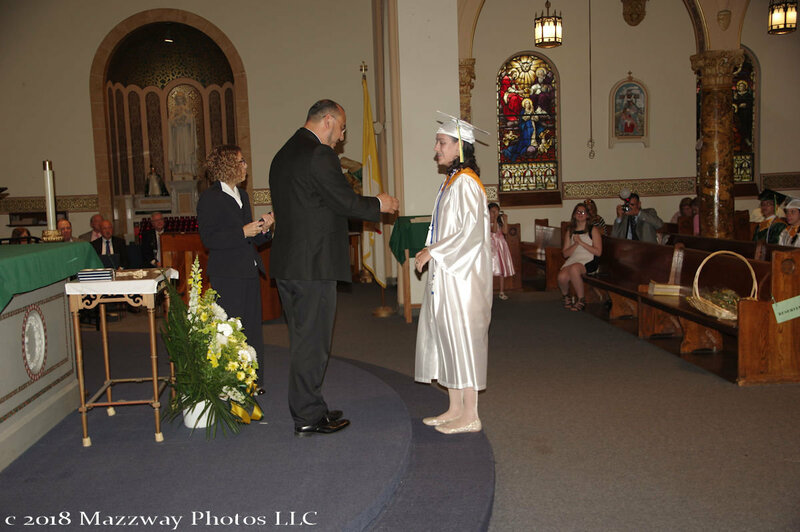 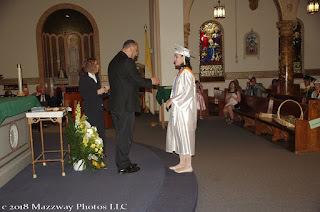 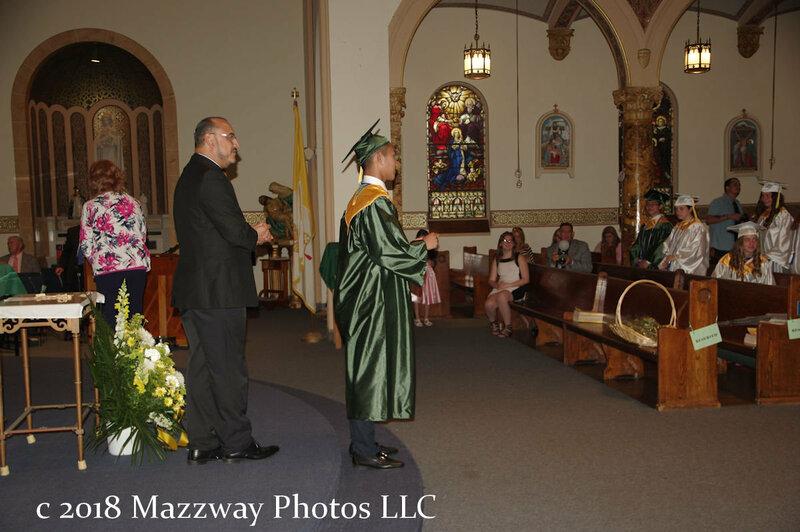 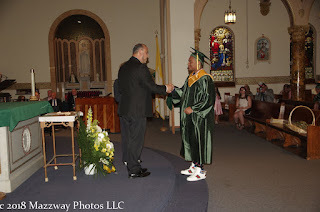 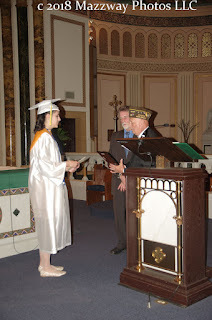 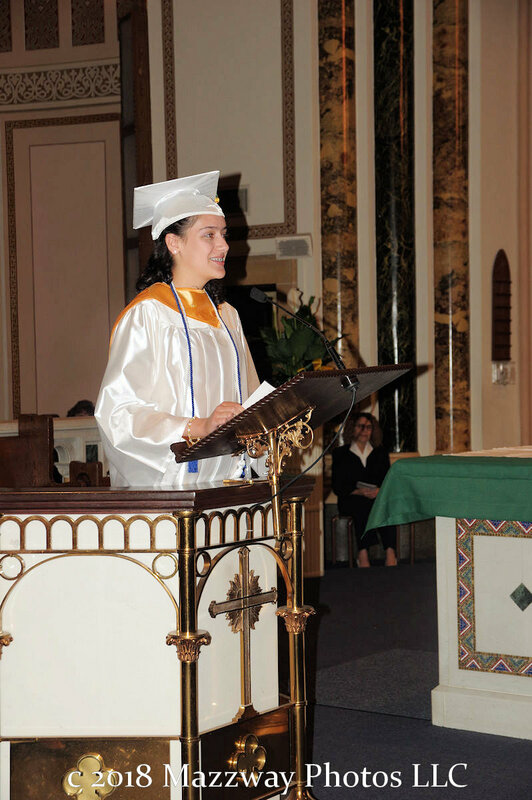 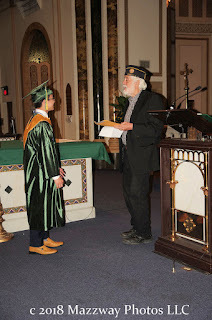 Then St. Joseph's School Principal Stella Scarano, and St. Joseph's Church Reverend Father John Galeano presented the Graduates their diploma's. 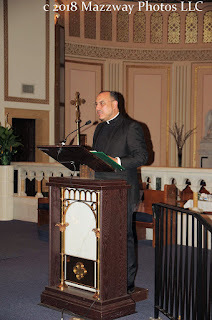 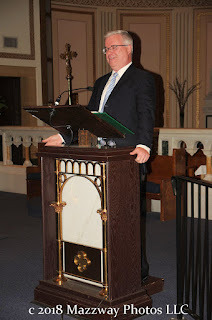 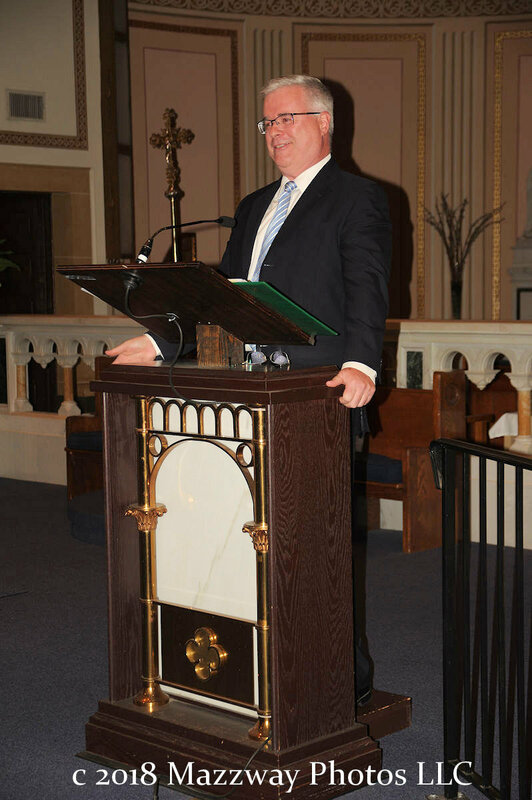 Included one that had to be specifically deliver by Father Galeano to the first pew due to an injury. 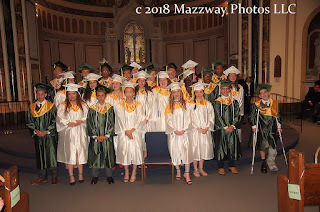 After the final diploma was presented Neil Belarmino lead the class in moving their tassels from the left to the right signifying the passage from 8th grade Student to graduate. After the applause and one final wish from Father Galeano individual awards and scholarships were presented. Some were for Academic honour other for Athletic and Community achievement. 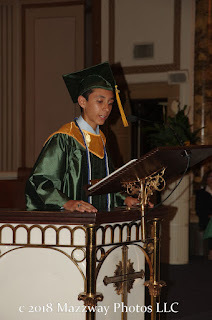 Kalib Krause-Morales then spoke to thank all the Parents, and Families for their love, support, and guidance that allowed them to be able stand up and achieve this milestone. Then all the graduates assembled at the front of the alter to sing to their families, and to present the Families with a yellow rose. 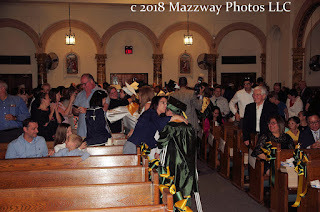 After the new Alumni parade from the Naive they, and all others, gathered on the front steps of St. Joseph's Church to be congratulated, and to congratulate each other. Photos, hugs, handshakes, kisses, laughter and a few tears of joy were shared for one more movement together.